Here are 16 pages of practice on subtraction (2 and 3 digit) with and without regrouping with answer keys! These activities would work for grades 1-3! 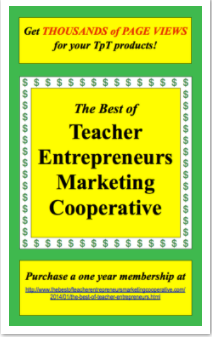 ✎"This is a great resource for my kiddos." Diane S.
✎"Thanks for the additional worksheets for reinforcement!" Jackie A. 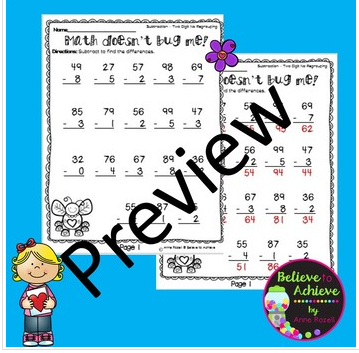 ❤Telling Time Practice-24 PAGES! NO Prep! ❤Please go to your My Purchases page (you may need to login). Beside each purchase you'll see a Provide Feedback button. Simply click it and you will be taken to a page where you can give a quick rating and leave a short comment for the product. ❤Each time you give feedback, TPT gives you feedback credits that you use to lower the cost of your future purchases. ❤I VALUE your feedback greatly as it helps me determine which products are most valuable for your classroom so I can create more for you. Be the first to know about my new discounts, freebies and product launches. All new resources are 50% off the FIRST 48 hours! ❤Look for the green star next to my store logo and click it to become a follower. Voila! You will now receive email updates about this store.